Democrat Stacey Abrams says she doesn't expect to decide on a presidential bid until the fall because "the average voter is not paying attention until Labor Day." On MSNBC on Thursday, Abrams also offered support for former Vice President Joe Biden, who has acknowledged that his tendency toward physical displays of affection made some women uncomfortable and has promised to be "more mindful" of respecting personal space. Abrams says "we cannot have perfection as a litmus test" for leaders. 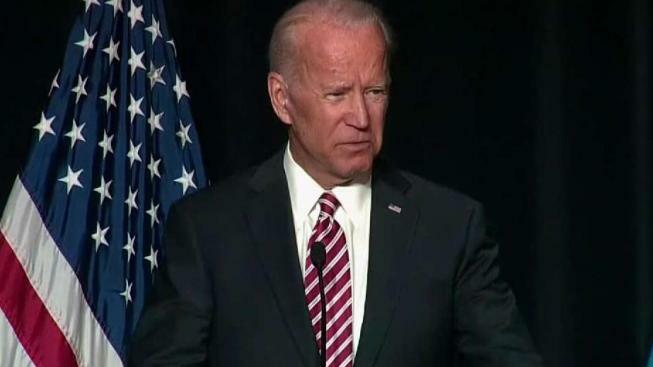 She says Biden "has created context for why that is his behavior and he has affirmed that he will do something different going forward." Abrams lost the Georgia governor's race last fall and recently met with Biden, who's weighing a 2020 presidential run. Abrams is also considering whether to run for the Senate.